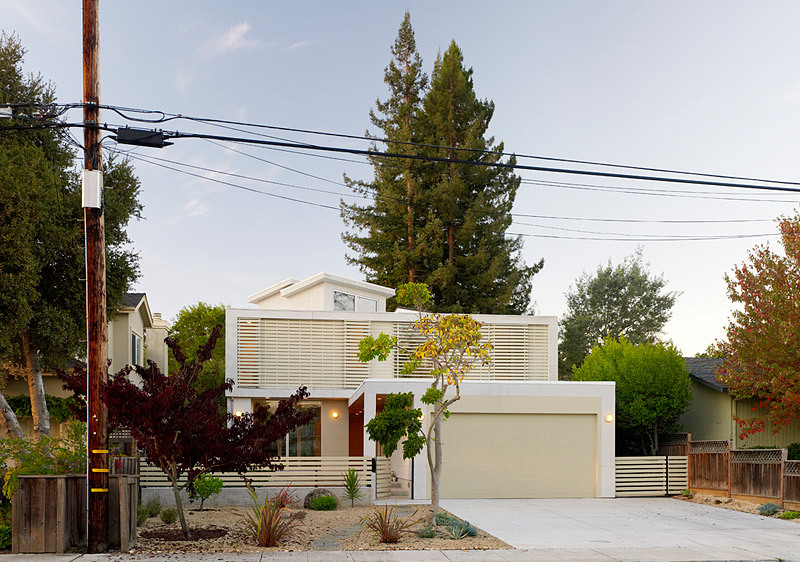 Menlo Park 2 Bar House | Shelby White - The blog of artist, visual designer and entrepreneur Shelby White. 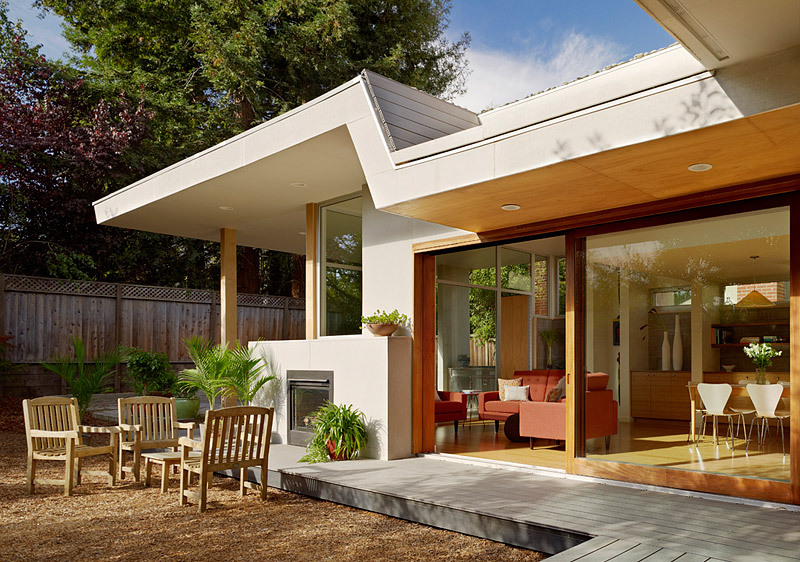 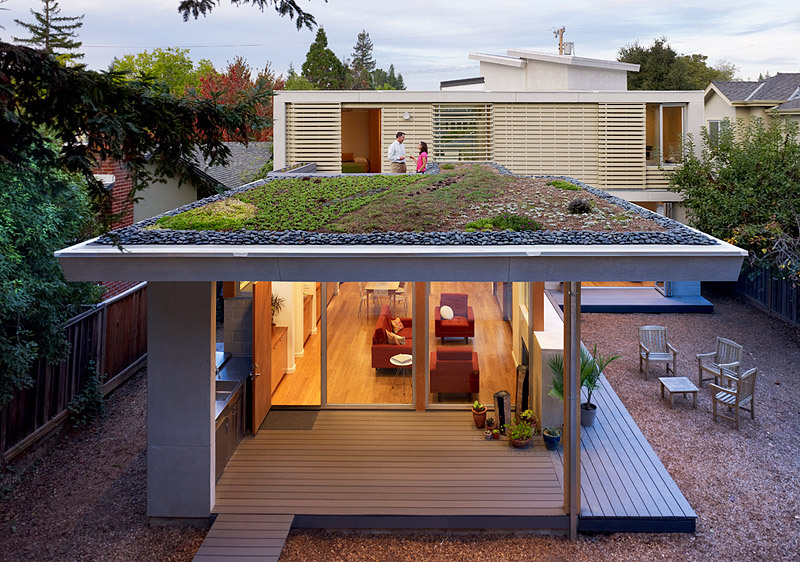 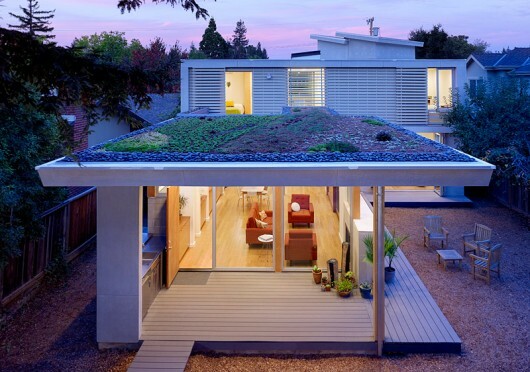 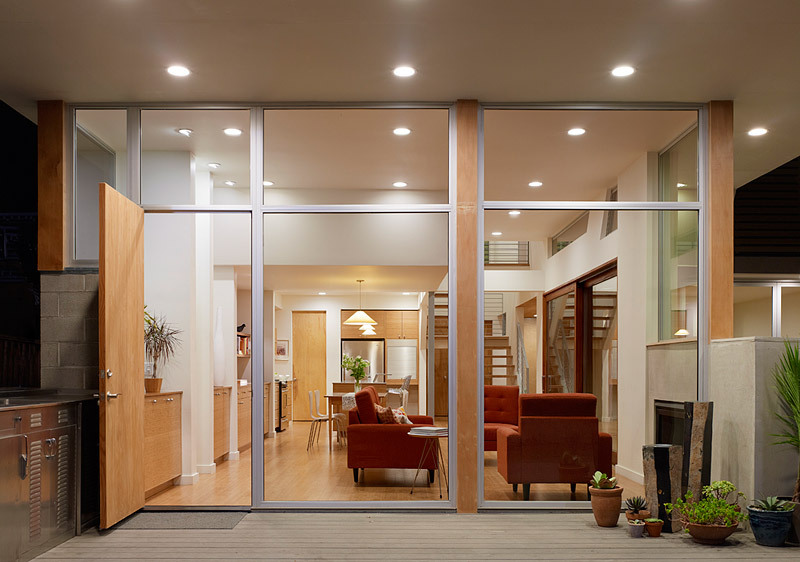 Feldman Architecture designed this house for a family in Menlo Park, California. 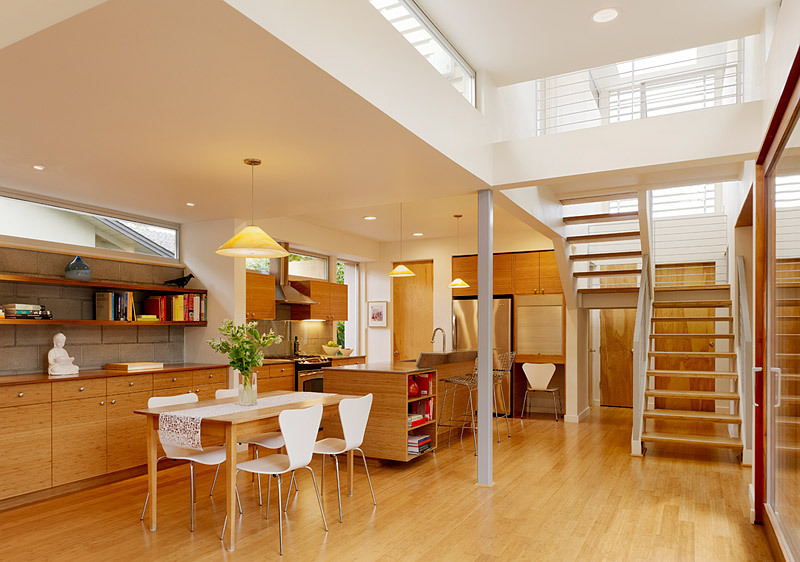 The goal of the house was to have a cost-conscious design and consistent from indoor to outdoor implementation of environmentally friendly materials. 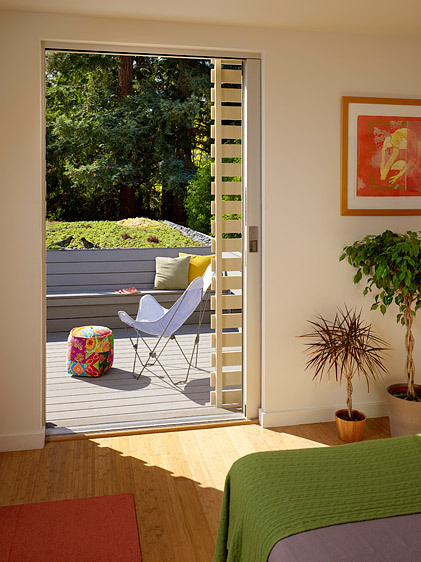 On the second story of the house, the space can be opened up by sliding slat doors.